When you first step out of a swimming pool or lake, you may notice a cool feeling when your skin hits the air. This is evaporative cooling. In fact, every human being performs the function of evaporative cooling each day through perspiration. When sweat evaporates, we cool down. If we move around, the air flow cools us down even quicker. Ruffwear’s cooling gear works the same way. 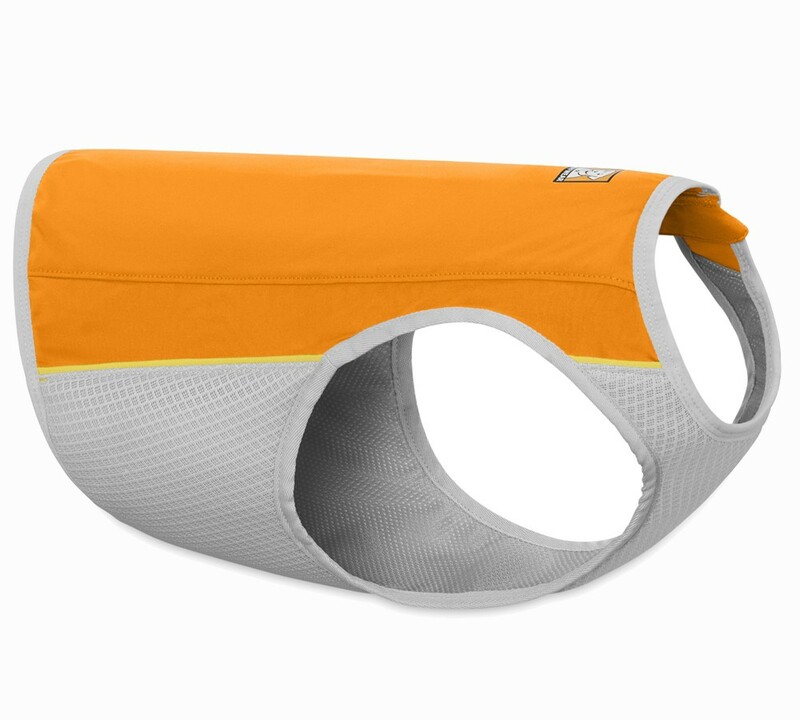 It’s built with three layers: a wicking outer layer that facilitates evaporation, an absorbent middle layer that holds water for evaporation, and a comfortable inner layer that transfers the cooling effect to your dog. To activate the Jet Stream, soak it in cold water and wring it out before fastening it to your dog. As the water evaporates, the heat around your dog is exchanged for cooler air. Continue re-wetting the cooling gear as needed to extend the cooling effect throughout your adventures.